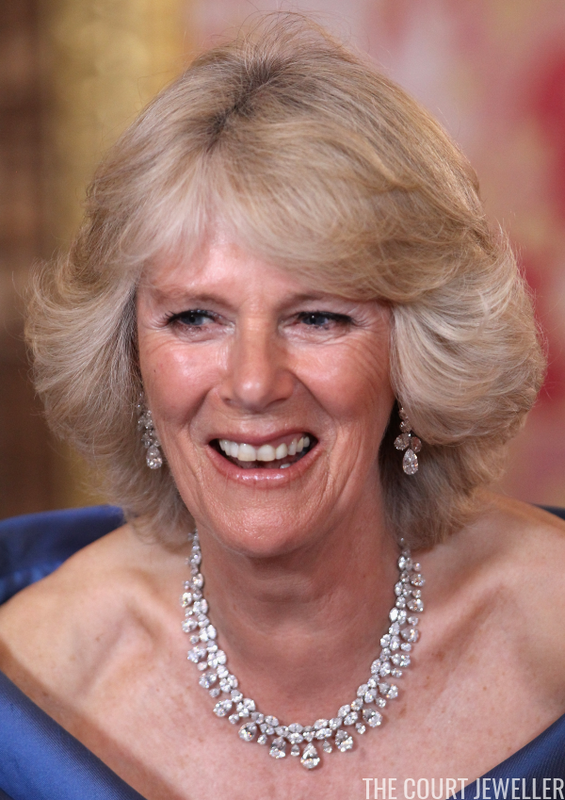 Happy 70th Birthday to the Duchess of Cornwall! 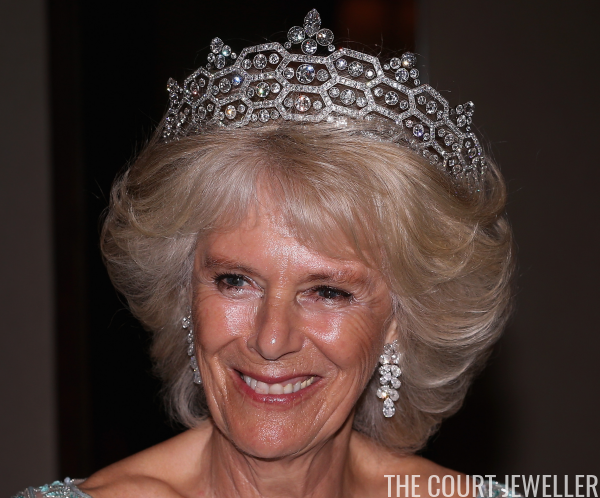 To mark the occasion, I've ranked ten of my favorite gala jewels, both individual pieces and sets, from Camilla's jewelry box. Let us know your top ten list in the comments below! 10. 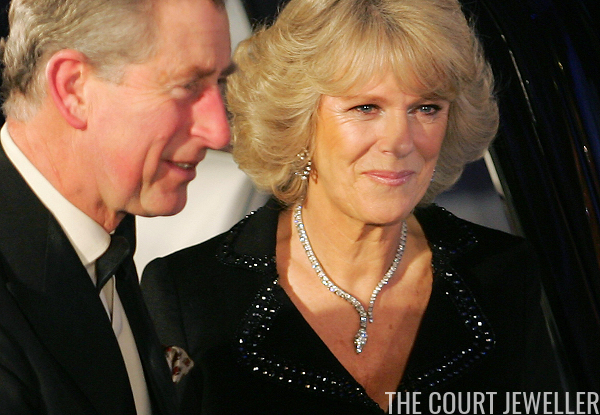 The Diamond Serpent Necklace: Packed with round and square-cut diamonds, this classic diamond necklace is said to have been presented to Camilla by her now-husband, the Prince of Wales, in the years before their wedding. She's been wearing it in public since at least 2001. 9. The Pink Topaz Demi-Parure: Also said to have been gifts from the Prince of Wales, the pink topaz and diamond clasp of this five-stranded pearl necklace, as well as a pair of coordinating diamond and pink topaz earrings, date to the 1830s. 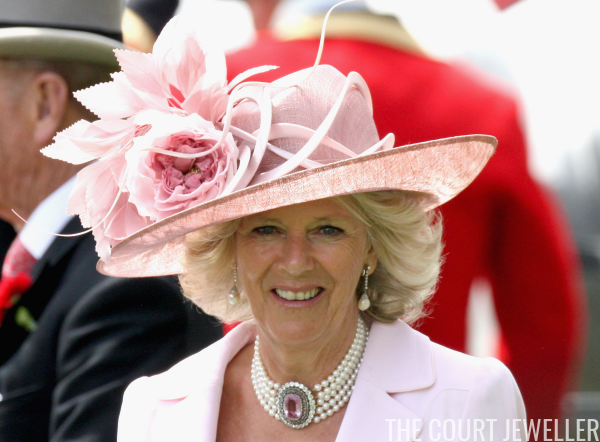 Camilla has had the suite of jewels for at least a decade, and she wears the pieces for both day and evening engagements. 7. The Queen Mother's Amethyst Heart Necklace: This delicate amethyst and pearl necklace, which features a distinctive heart-shaped pendant, was Queen Alexandra's wedding gift to Elizabeth Bowes-Lyon (better known to us as the Queen Mother) in 1923. 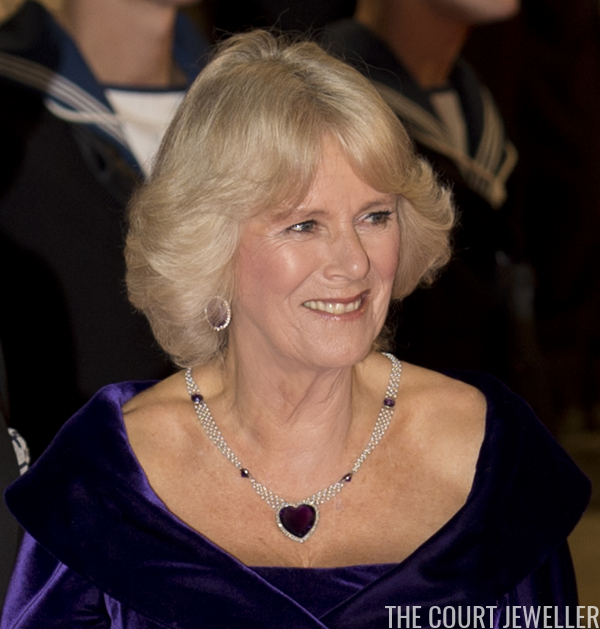 On at least one occasion, Camilla has paired the striking necklace with her oval-shaped amethyst earrings. 6. 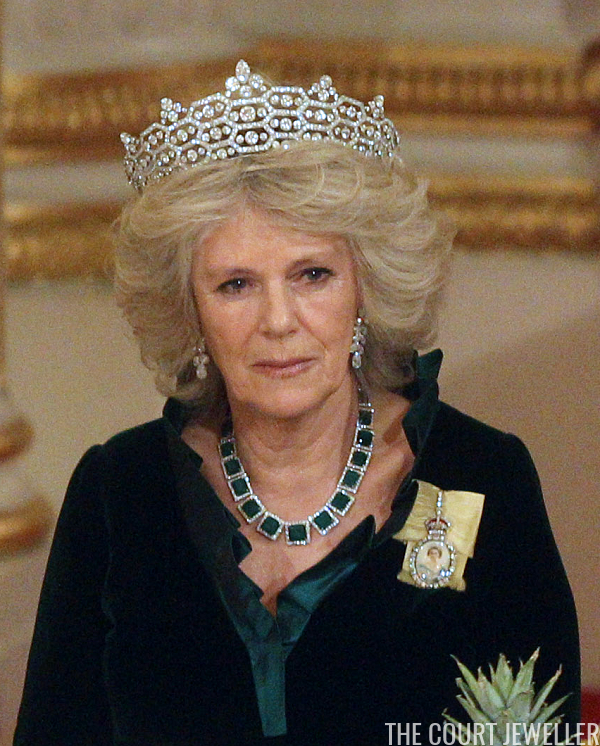 The Saudi Emerald Suite: Camilla has received several suites of jewelry during visits to the Middle East, but the most modern and wearable of them all is this emerald set. The suite includes a necklace, a bracelet, and a pair of earrings. 5. 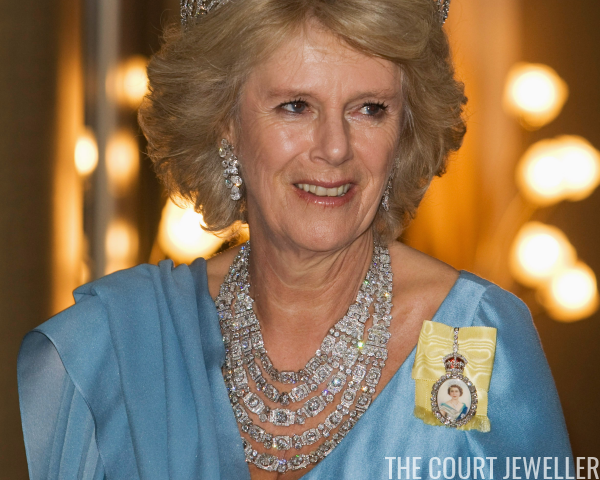 The Turquoise Demi-Parure: Another suite of jewels that Camilla inherited through her own family connections, this distinctive set of turquoise and diamond jewels includes an elaborate necklace and a coordinating pair of earrings. She's been wearing the demi-parure in public for almost two decades. 4. The Aquamarine and Diamond Suite: Another demi-parure from Camilla's collection, this set features pale blue aquamarines and diamonds. The suite includes a necklace with a large pendant, a bracelet, and a pair of earrings. 3. 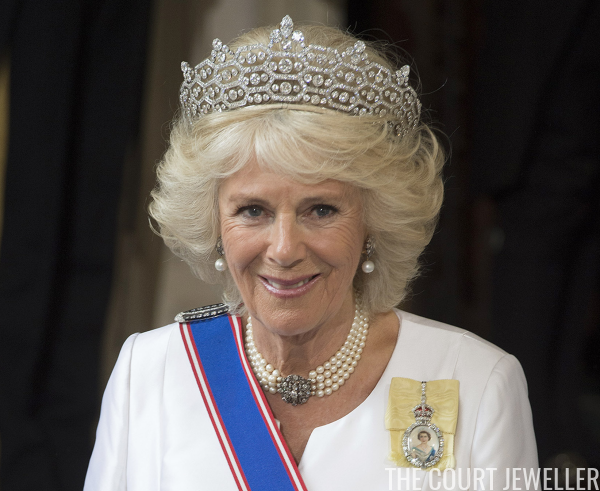 The Diamond Demi-Parure: One of Camilla's most-worn sets of gala jewelry is this demi-parure made of various sizes of pear-shaped diamonds. The suite, which includes a necklace and a large pair of earrings, is easy to coordinate with other pieces from her jewelry box. 2. The Greville Festoon Necklace: Five magnificent strands of diamonds make up this elaborate necklace from Cartier, which was a part of Mrs. Greville's famous jewelry bequest to the Queen Mother. 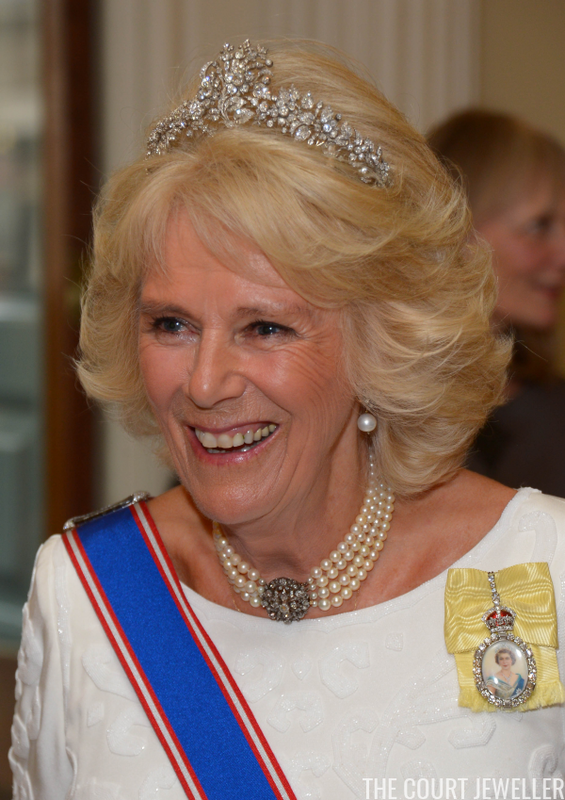 The piece can be worn in a smaller setting, with just three strands of diamonds, but so far Camilla has only worn it with all five strands of sparkling diamonds. 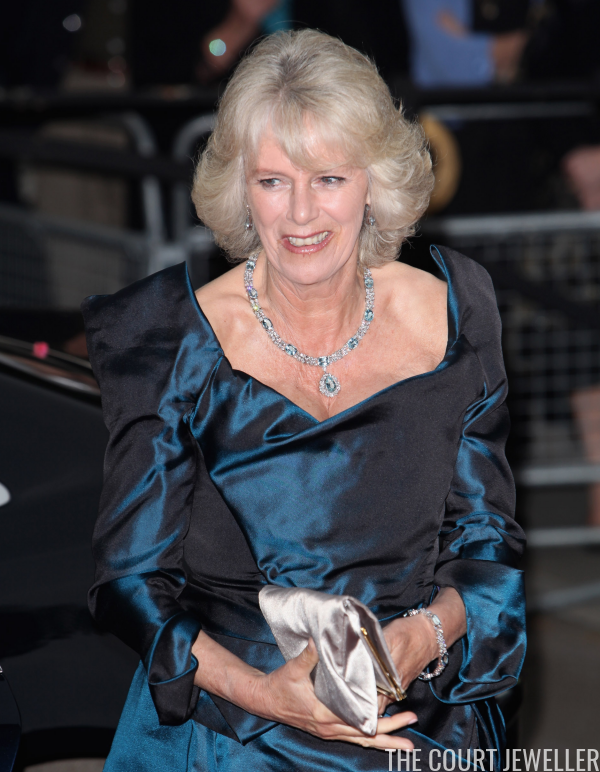 See more of Camilla's most magnificent necklaces over here!